Where do these stairs lead to? Where do they come from? These intersecting stairs trail off to somewhere, come from somewhere. Somewhere between MC Escher and Stairway to Heaven. 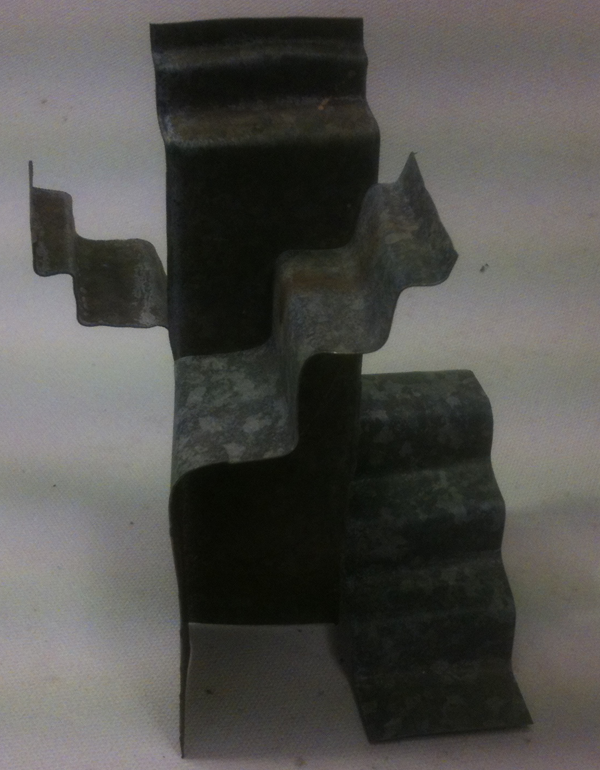 Hand folded from a single sheet of galvanized metal.